Making a masterpiece with Bob Ross and the iPad Pro Pencil. Diamonds – Kurt Pio. These paintings are awesome. The breakfast table by John Brack. I took a bunch of photos of the art at the Art Gallery of New South Wales, but I think this was my favorite. The Last Word On Nothing | Guest Post: The Art (& Science) of Lefty Portraits. Below the original is my attempt to copy Sargent’s painting. I’ve been thinking a lot recently about how people learn to paint. I’m starting to think that maybe copying paintings you like is a good way to study other people’s paintings technique while forcing yourself to learn some basic skills along the way. I gather that this is how students learned to paint back in the day, so it seems like a good thing to try in my spare time. This entire thing is fantastic. Winners of Chimpanzee Art Contest Announced – The Humane Society of the United States. Art is subjective and all, but this one is definitely the best. Also, I’m feeling a lot of mixed emotions about many aspects of this. Bill Murray has a good face for this kind of thing. I often teach a painting of Caravaggio’s, Supper at Emmaus. Christ is sitting before us in an alcove against the “back wall” of the painting. We face into a dinner table covered with things for the meal. We are quite sure that the edge of this table is identical with the absolute front of the canvas. But then one undergoes a troubling sensation. The basket of fruit, the edge of the wicker basket, sticks out into our “actual” space, our here and now. The host suddenly recognizes the stranger at his table as Christ and throws open his arms, like this. [Gestures.] His left hand comes out, beyond the border—further than the sacramental grapes in their wicker—out here into the same air that you (and I) are breathing in the National Gallery. 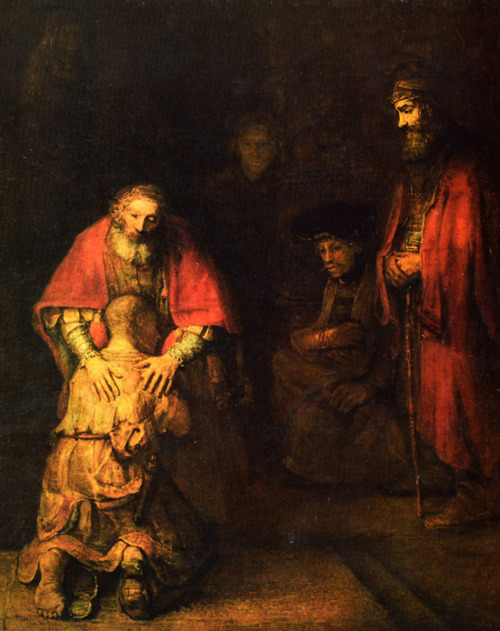 At the same time, his right hand penetrates the crucial illusionistic space, the alcove in which Christ sits. What he does, by going like this, is enact what it is to be “taken” by surprise, to be, suddenly, in that spiritual place where the otherness of the world, of possibility, “turns” one’s soul—taking one off the path of mere “ongoingness” onto the other path of “journey.” At any rate, the host’s gesture connects that immortal-because-imaginary space Christ occupies, with the mortal one of the gallery in which I am standing breathing my minutes—and you suddenly realize Caravaggio has activated what I call the “sensation of real time”: the time of the painting’s represented action has crossed over into the time in which my only days are taking place. So you cannot read the painting without being inside the terms of the painting, which are these graduating degrees of temporality: mortal time, immortal time, represented time, actual time, the “time” of process. The activity of the painting is to do that. The host is crucified in this position—a position the artist is also in—saying, You reader and you subject (God, Christ), I have put you two together. It’s my job. That’s what the meal is. That’s what we eat. From the canvas to the cinema. In the end: a dog, a father and a son. Like the works of Rembrandt, Tarkovsky’s adaptation of Stanislaw Lem’s 1961 science fiction novel reveals a consummate humanist at work — an artist for whom the individual search for redemption transcends the realms of faith and waking consciousness. I think of my work as what used to be called women’s work: knitting, quilting. Women were busy cooking, raising children, so they had to have an activity that they could pick up and put down. A quilt may take a year, but if you just keep doing it, you get a quilt. Or if you knit one and pearl two, and you believe in the process, eventually you’ll make a sweater. There’s some aspect of that in me. 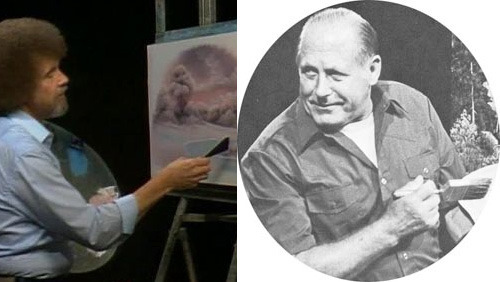 So here’s something you don’t hear about a lot — Bob Ross, the famous afro-ed host of The Joy Of Painting, was taught his famous “wet on wet” fast painting technique by a German expatriate painter named Bill Alexander, who, believe it or not, had his own PBS painting show calledThe Magic of Oil Painting, that ran from 1974-1982.